Control the consumer experience across the spectrum of marketing campaigns and programs. 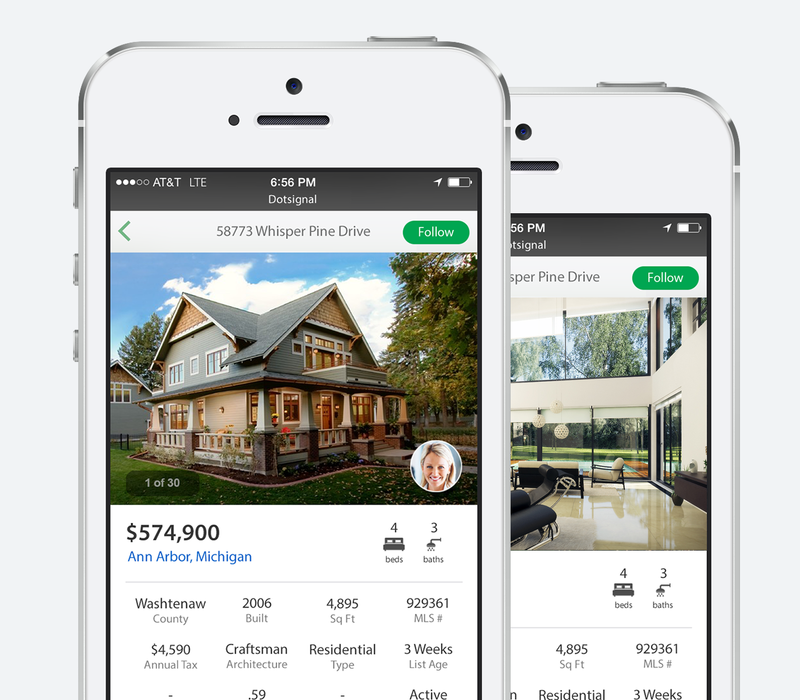 Provide your prospects with a full IDX powered mobile experience that expands the brand loyalty of both your Brokerage and your agent. Control the consumer experience and expand the brand loyalty of both your Brokerage and your agent. 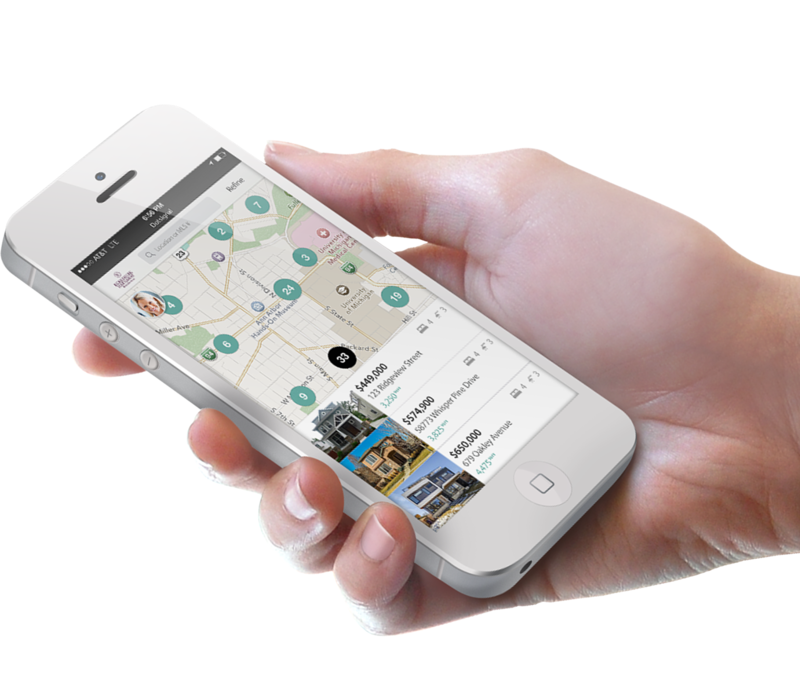 With Dotsignal, the consumer experience culminates with a beautiful, rich media presentation of your properties and the properties in your marketplace – designed for today’s mobile devices. Provide your prospects with a mobile experience that includes detailed property specifications purpose built for the mobile consumer. Video should be on your mind. Video and Mobile go hand in hand. We’re focused on making integrated video a big part of the Dotsignal platform. It’s easy to upload video from your mobile phone to the Dotsignal platform. We also make it easy to add the video content created by 3rd party providers. 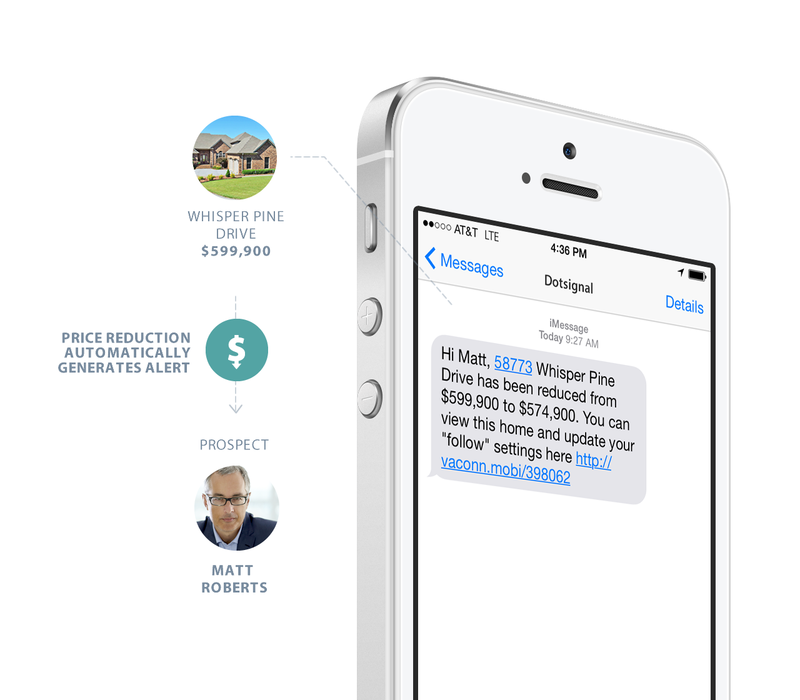 With Dotsignal, your prospects can go beyond your listing inventory and search the marketplace all while maintaining the brand loyalty of your brokerage and your agent. 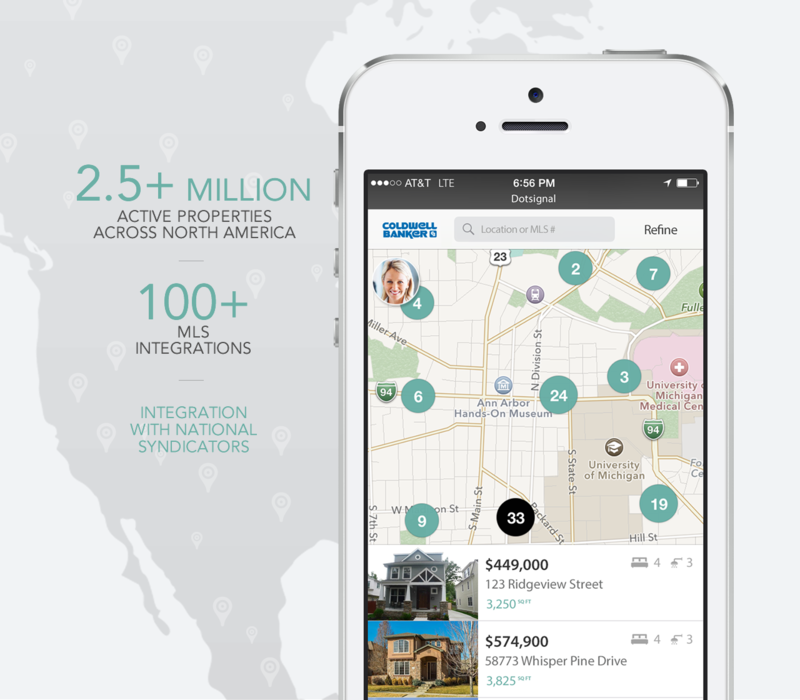 Dotsignal supports direct MLS integrations and property syndicators, supporting over 2.5 million active properties today. Your prospects now have the ability to follow properties in your local marketplace. 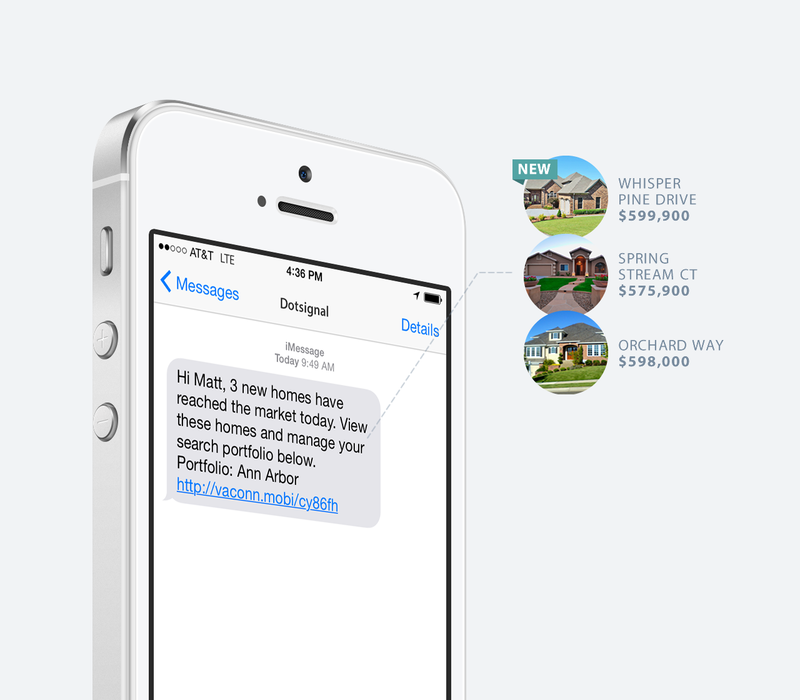 When a property record changes, your prospects are notified in real time via text message. Search Portfolios – Stay current on the homes that matter most to you. Your prospects can save their search parameters to a portfolio. When new properties hit the market, The Dotsignal platform will compare the properties against the parameters of saved searches within your prospect’s portfolios. Prospects are notified if and when new properties hit the market within their portfolios.